ALKS is proud to welcome another manufacturer to our flooring family! Tai Ping Carpets designs and manufacturers custom carpet and tile for office environments. With offerings ranging from carpet tiles to hand-tufted carpets, Tai Ping creates sophisticated designs for the multi-purpose space that is the contemporary corporate interior. 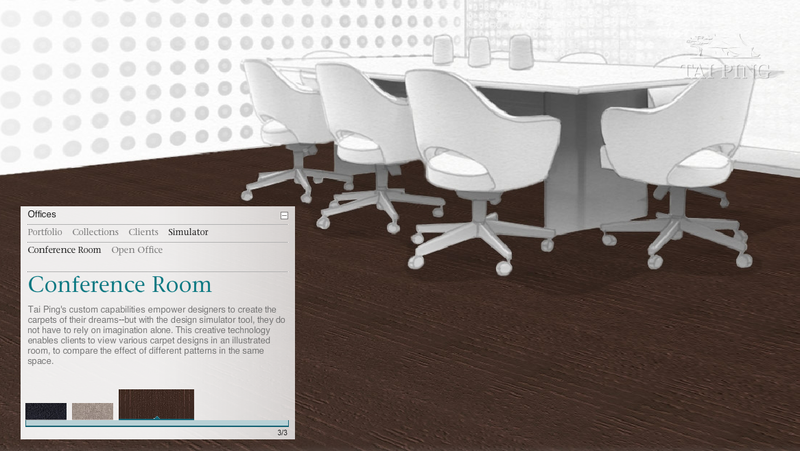 Try out their Simulator to see how products will look in your conference room or an open office!